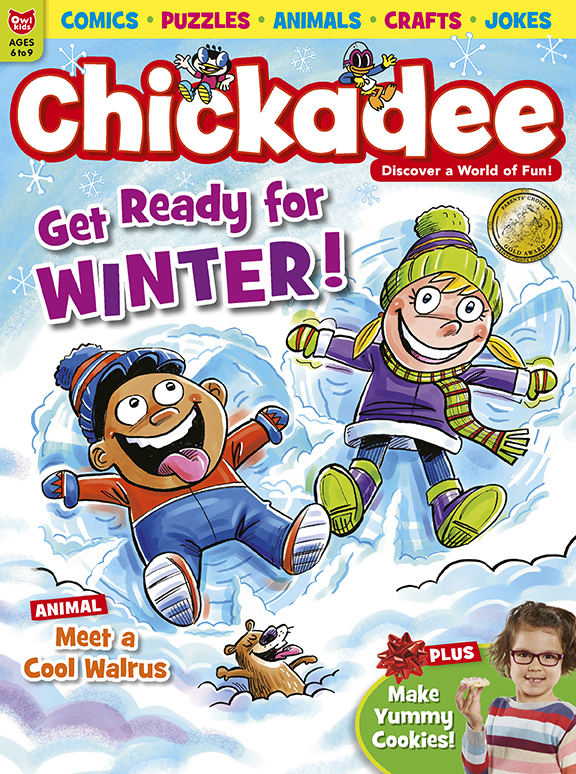 The December issue is all about winter! Find out about winter science and how animals and plants cope with the changing weather. We’ve got lots of ideas to help you stay cozy indoors, too. Bake yummy cookies, make fun dinosaur decorations and shake up your own butter in a jar! We even have fun winter games to play outside. What are you waiting for? Get your issue today! 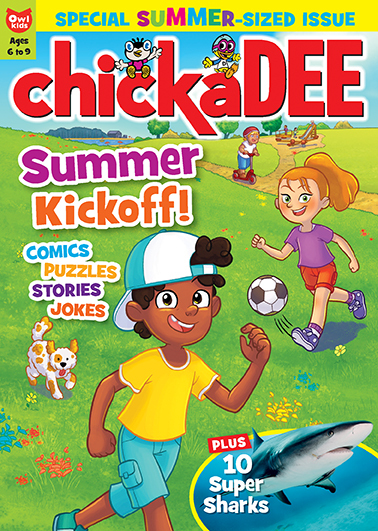 The summer issue of chickaDEE is here and it’s jam-packed with fun ideas and boredom busters to get you through any summer day. Read about super sharks, make a zip line for your toys, bake beachy cupcakes or make crafts out of fallen branches. We’ve also got comics, puzzles and lots of hilarious jokes. If you aren’t a subscriber, you can subscribe here or get the summer issue on newsstands or at the library. What’s your favourite part of summer? Leave a comment below! In the March issue, we talked about a Japanese artist named Yayoi Kusama. 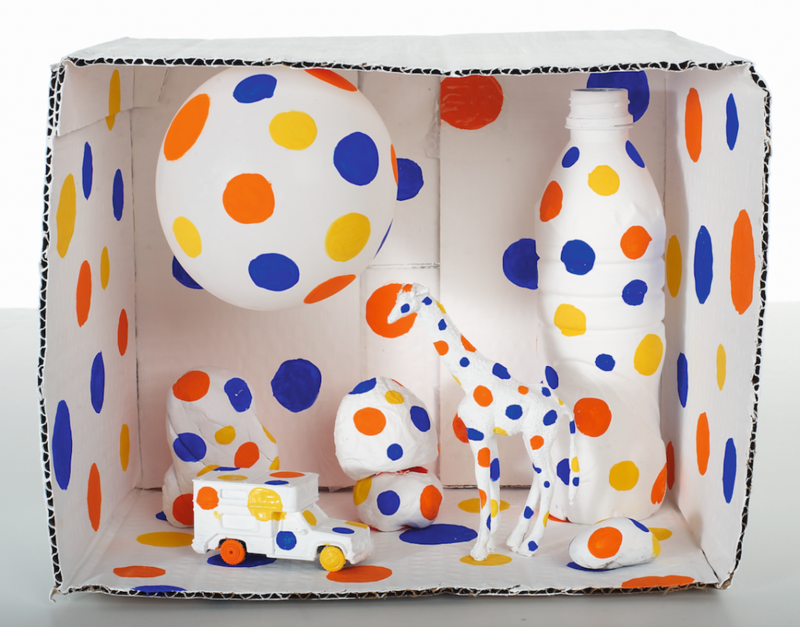 This artist is known for her fascination with polka dots. 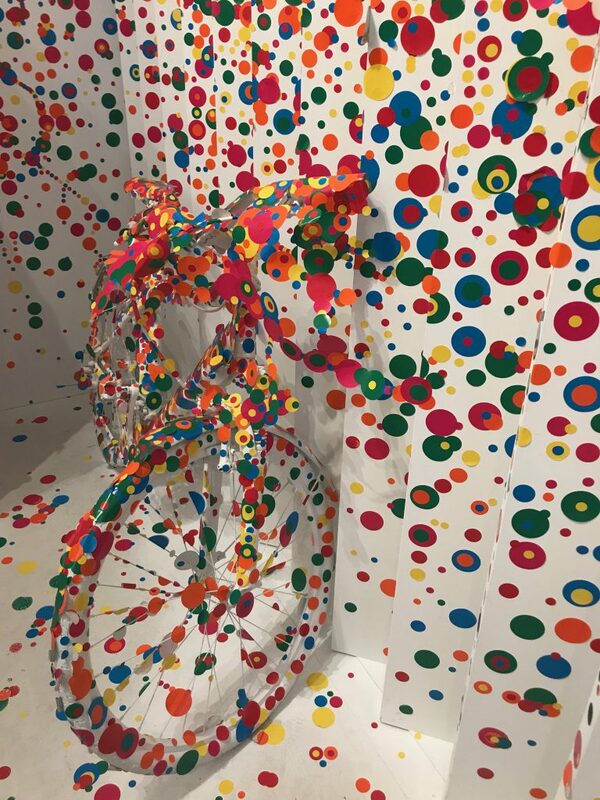 I had a chance to see her wildly-popular exhibit called Infinity Mirrors at the Art Gallery of Ontario in Toronto. 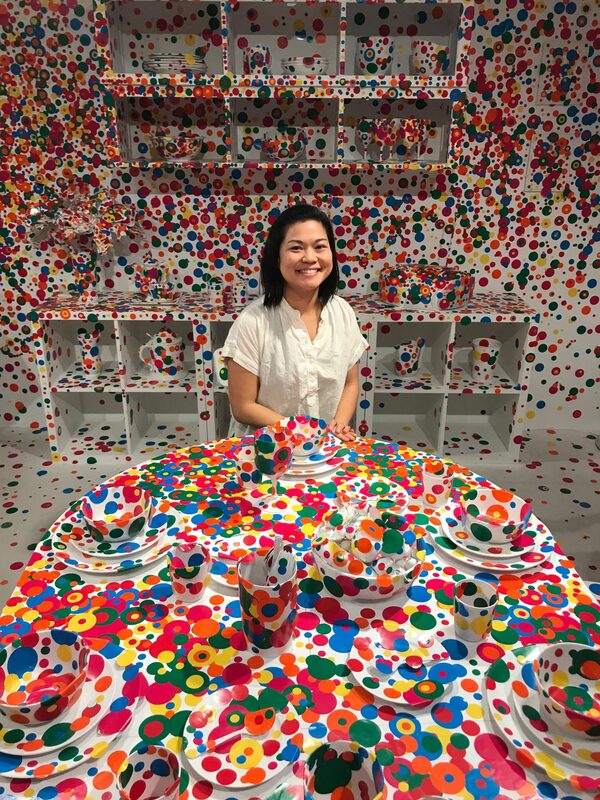 Here I am in one of the art exhibits called The Obliteration Room. In this room, visitors are allowed to put stickers on the plain white walls and furniture. 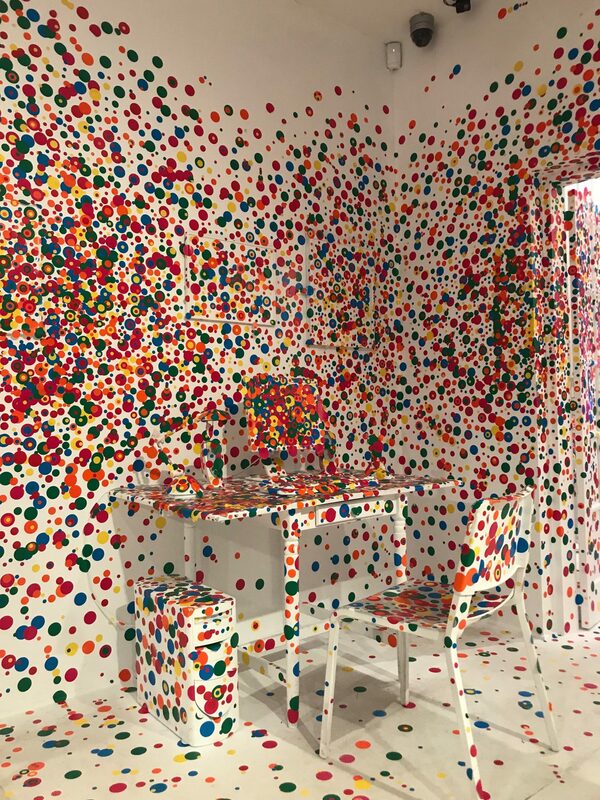 As more and more visitors put the dot stickers on every surface they can find, the white room disappears and is “obliterated”. You can make your own Yayoi-inspired art at home! Make a diorama scene in a shoebox and paint everything white. Then add your own dots! Check out our sample here. 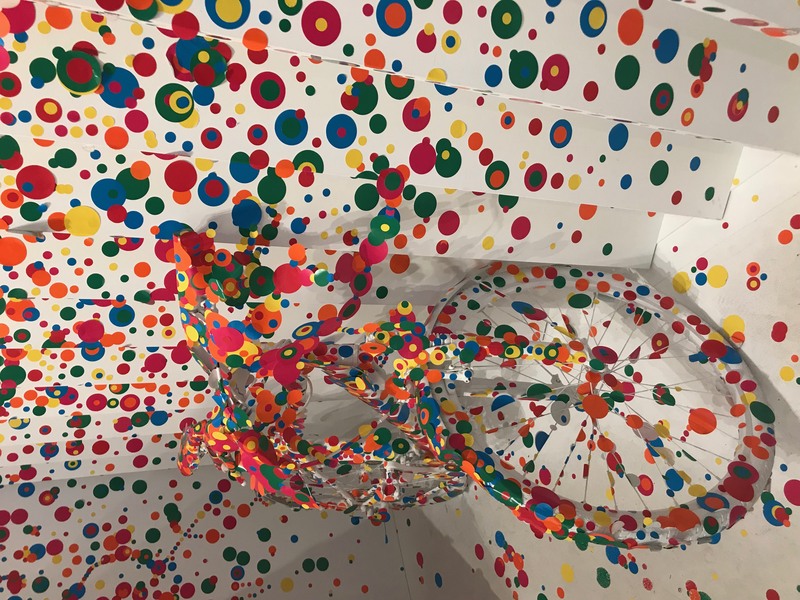 If you make some dotty art this long weekend, please share a photo with us! Get Ready for the April Issue! 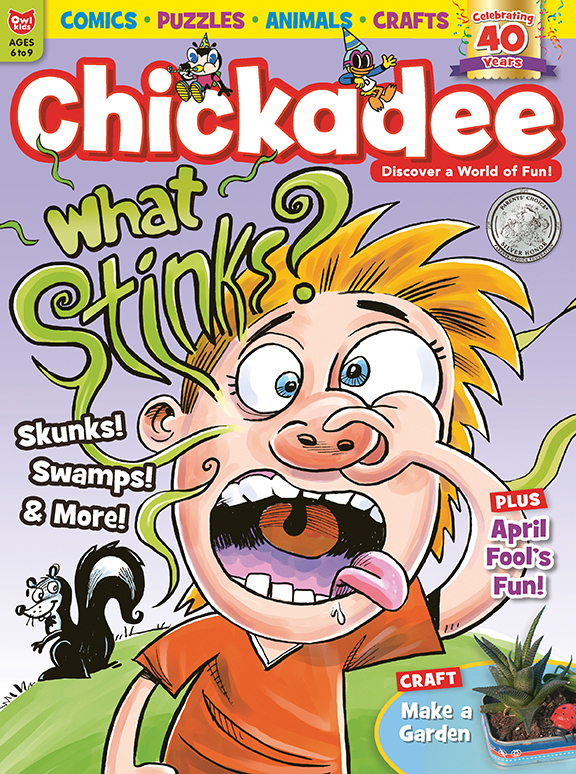 The April issue is here and I think you’ll just love it. Why? 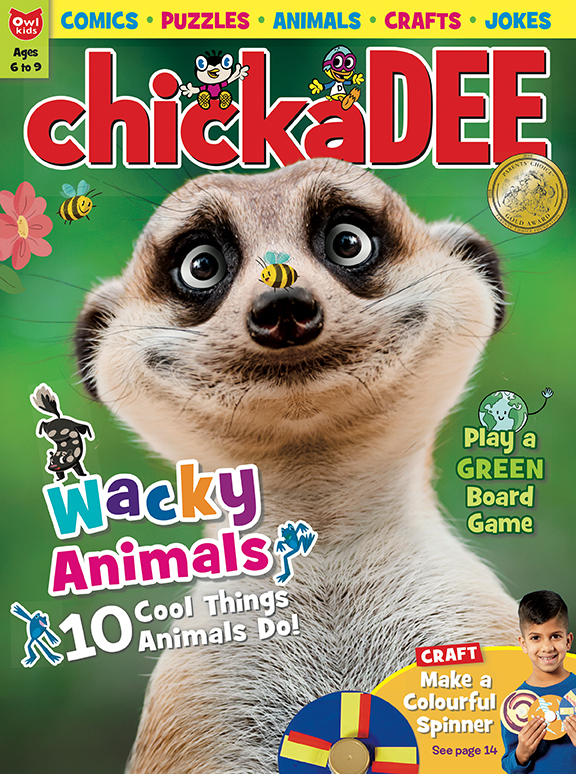 Because there’s wacky animals, funny pranks, a spinner craft, a super silly mad lib story, comics and tons of puzzles and fun, that’s why! Did you get your issue yet? Tell us what you think in the comments below!